The science of the artificial(supposedly a distinct category of science from natural or social science) is derived from the work of Herbert Simon (1996). A science of the artificial is interested in phenomena that can be designed [and controlled]. … Design lies is the choice of the boundary values; control lies in the means to change them. (24). My lack of expertise regarding the work of Herbert Simon (something which I am now more encouraged to remedy) prevents me from pronouncing with confidence on this part of the article. Suffice it to say that the meaning and contribution of this new “science of the artificial” is far from clear to me. I am left with a feeling that if it is indeed such an important and path-breaking meta-scientific turn, the authors should be able to explain it better. It should be more accessible and transparent. I am left highly skeptical, but I urge readers of this post to read the article and perhaps enlighten me and others. VSDF claim new ground in three areas 1) understanding opportunities as made as well as found, 2) moving beyond new combinations to transformations 3) developing a new nexus around actions and interactions. In each of these I find their arguments in part unclear or unpersuasive or both, and where I see something of value I don’t see it as new. They are strongest on the first category – seeing opportunities as made as well as found. They have a nice analysis of the proverbial $100 bill on the sidewalk waiting to be found. Is this an opportunity found (discovered) or made (created) or both? As they point out, in order for this to be an opportunity at all the bill has to exist, someone has to find it (objective conditions), the finder has to know it is $100 bill (subjective interpretation) and other people have to acknowledge its value and be willing to accept it (intersubjective considerations). For an opportunity to exist, certain actions and preconditions must be fulfilled – “actions and interactions that constitute the atomic units of ‘making’ a market opportunity” (26). They proceed to point out that this applies to all opportunities regardless of their degree of objectivity or “creativeness.” Indeed, I believe this is true, and I like the phrase “made or found” – but I don’t think their resolution is new. Isn’t this is line with the sort of thing that Peter Klein and others (among whom I would like to count myself) have been saying for some time? In a fundamental sense “made or found” is irrelevant. What matters is that entrepreneurs take actions that add value above and beyond what was expected or seen before. This relates to the second category – moving beyond new combinations to transformations. Here they seem to be arguing (I say ‘seem’ because there is a fog of verbiage obscuring the bottom line argument) that successful entrepreneurship involves something transcendental. It is more than simply the reorganization of existing resources. Well, yeah! What about all the recent discussion of ‘emergence’ and similar ideas. Moreover, I think they go wrong in their treatment of the concept of “new combinations.” They see this idea as coming from the natural sciences, like chemistry. 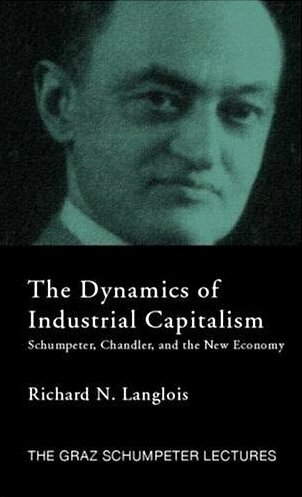 But I take it to come from Schumpeter, and later, and more clearly, from Lachmann, where it means something entirely different from the notion of physical transformation. VSDF may be falsely attributing a materialist fallacy to the notion of “new combination”. 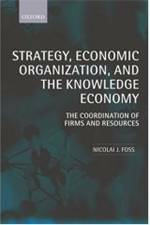 At the heart of all this is the importance of an understanding of all resources as types of economic capital. [In the final section of the article VSDF talk about artifacts “embodying knowledge” and come close to a capital-theoretic approach without quite getting there or mentioning capital]. What makes something capital is not its physical nature per se, but, rather, the value of the function it can perform. The conservation laws of physics ensure that matter-energy cannot be created or destroyed. The whole point of capital theory, as pointed out clearly by Böhm-Bawerk, is that while the entrepreneur can never create anything in the physical sense, he can add value to what exists. In fact he talks about the transformation of resources into more useful forms and combinations. Physical transformations may or may not be involved. An interesting issue is whether capital accumulation necessarily involves technological change, something about which Böhm-Bawerk was ambiguous and about which Hayek and Lachmann wrote a lot. This theme is evident in the huge recent literature on the relationship between production and design and related themes like modularity. VSDF talk about design as an element of entrepreneurial action without addressing the large volume of work on this – for example Baldwin and Clark’s Design Rules. VSDF see the distinction between combination and transformation as adding empirical traction to the study of entrepreneurial events, and they give some examples of each. They characterize transformative actions as ones that entail the freedom to choose one’s ends and well as one’s course of action. I don’t know – is this new? Is this helpful? It leaves me a bit exasperated because I just don’t see it. The third category – developing a new nexus around actions and interactions. They talk about some interesting case studies and make some astute observations. What this adds up to, again, I am not sure. But I will leave that for now. In revisiting the ontology and epistemology of “opportunity,” VSDF draw on the interesting work of the philosopher Donald Davidson. Every action involves the objective, the subjective and inter-subjective. A new tripod? By inter-subjective (no reference to Shutz) they mean not merely the total of all shared meanings and understandings that permit us to act, but, apparently, something more particular about the action itself, more idiosyncratic I guess. But, again, this is not new nor particularly well handled. So much has been written about the role of institutions in human action. How is this different and how does the difference matter. Ten years after Promise more promise? As I said initially I think what this is all about is the question of entrepreneurship as an empirical science in the sense of the discovery of universal elements that can be useful for policy or entrepreneurial action itself – a very old theme. Austrian economists, in discussing the business cycle, for example, have had to face the perennial question of “what makes an entrepreneur?” – how are some individuals better able to perceive opportunities for value-creation? I don’t see how this question can be answered. It goes to the heart of the working of the market process – a complex-adaptive system that defies description in mechanical terms. Yet, in the end, it is that which VSDF (and probably many others) are seeking. See for example, Table 1 of SV in which they compare their new entrepreneurial science with natural science, suggesting that the former has still to develop an understanding of the key elements of entrepreneurship so that they can be taught and learnt by anyone! I guess on this we will just have to agree to disagree, at least until time proves one of us wrong. Entry filed under: Austrian Economics, Entrepreneurship, Former Guest Bloggers, Institutions, Methods/Methodology/Theory of Science, Papers. Yes, I downloaded it, but have not yet read it. More reason to now. On my website – jcpender.com – there’s a little something (72 pp) on the life and work of Herbert Simon that should be coming out later this year. Scroll down on the ‘papers’ page. I think you are fundamentally misconstruing Simon’s notion of design science. Mostly, it is an argument about what academics in professional schools ought to do, which is teach our students how to design products, relationships, and institutions and put those designs into effect. But what academics in management schools do is study what managers and enterprises do. Unlike our counterparts in medical and engineering schools we don’t actually design things. Consequently, we cannot show our students how to do it — unless we rethink what it we are trying to do. To a considerable degree this is the implicit logic underlying Harvard’s case method and the practice exercises we set up for our students, but both, I believe, require far greater attention to matters of dialogue and rhetoric than we typically emphasize — to bricolage, testing, and persuasion. My colleagues and I spend a lot of time trying to help our students learn how to do these things, but it is hard and they find it a lot more frustrating than rote learning. Fred, thanks for the clarification. I was interpreting Venkataramin et. al.’s depiction of Simon in their article at face value. What you say about Simon’s original intention makes sense and is more interesting. Bruce, I share your sentiments completely, and I find this reassuring (its not just me!). I suspect that Shane’s early view of Kirzner was based on a misunderstanding of what Kirzner actually meant, not sure he gets it even now, but, yes, I think he is re-positioning his story.